Authentic Christ-centered worship is dangerous. To contemplate such worship, biblically, you only have to open yourself and those you lead to the many passages we normally point to when discussing Christian worship. We could begin with the Great Commandment (Mark 12:29-31, Matt 22:37, based on the shemah in Deut 6:5). Truly loving the Lord with our whole heart, mind, and strength would likely change much about how we worship, “do church,” and treat others around us. Loving neighbor as self would radically shift the priorities that placate those looking for worship that suits their family and themselves. Venturing to passages like Isaiah 6, Romans 12:1-2, John 4:21-26, Acts 2, Heb 2, 10, and 11, Eph 5:19-20, 1 John 4:20-21, 1 Pet 2:4-5, or the book of Revelations should be done only with great caution, as such spiritual journey might awaken us to our complete dependency on Christ, and cause us to actually see “the least of these” around us. Centering worship in the whole story of God may disturb our people’s feelings of adequacy, and point out their absolute need for a risen Lord. It’s a danger zone for worship leaders and fellow-worshipers. In dangerous worship the promise of “success” may be replaced by a call for response in simple living (Micah 6:8). It is probably “safer” to lead congregations to sing “He thought of me above all,” than to sing “Let your heart be broken for a world in need,” or “willing, my Savior to take up the cross; Willing to suffer reproaches and loss.” Recognizing that the only place we “stand forgiven” is at a cross can be dangerous. 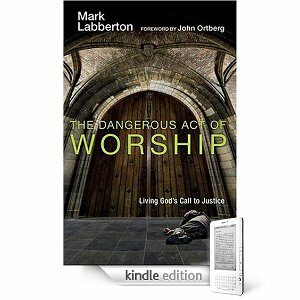 Presbyterian pastor, Mark Labberton in his book, The Dangerous Act of Worship: Living God’s Call to Justice, says that most of our churches are asleep. He discusses ways that we spend time, money, and energy covering up our sleeping condition. We try to do things that would make us appear alive, and that appearance is usually based on a very inept interpretation of what being truly alive in Christ would mean. We try to pump up the volume, pick up the tempo, and dramatize emotions to appear awake, though such dramatization seldom fools anyone with the scant possible exception of ourselves. The truth is that the picture painted here is, in truth, pathetic. As long as we continue to center worship conversations in issues of style or preference that are actually non-issues to the heart of genuine Christocentric worship, we are, in some sense, fairly “safe.” We can figure out tentative ways out of the discomfort of such nominal concerns. Though conflicted and sometimes confused by fickled congregants, we can usually figure out some way to throw this monkey from our back. Most of us are adequate in our musicianship enough to accommodate the occasional rumblings of pastor or people. We can determine to acquiesce to cries for more contemporary material by catching up with the latest trend and giving in to the “hip” sleepers’ requests. We can serve our tradition and appease the cries for the “old songs” and get by for a short while as that set of sleepers snooze to the sweet lullaby of gospel goodies. We can probably quiet the harried music servants who are tired and need some time off by shortening our rehearsals, lowering leadership standards, or reducing the amount of challenging music. These things usually work for awhile. In recent days I have had numerous discussions with some of you, our worship music pastors, who are facing struggles regarding worship in your churches. For some of you, the struggle is with the senior pastor. For others the struggle is with members of the congregation for various reasons. For still others the struggle is with choir and other music leaders over issues of consistent faithfulness. If I hear you correctly, in most of these cases, the tension is over issues that are not really dangerous. To use Labberton’s analogy, I would say that the energy in many of these tensions can be found in the pull between a church trying to remain asleep while wanting to appear engaged in true worship. But, as stated, real Christ honoring worship is dangerous. We serve among people who are conditioned for comfort, not danger. To be honest, we, ourselves, may be conditioned in like manner. I confess to being there far too often myself. For brevity’s sake, I want to give you two lists from Labberton’s book that may challenge you as they have me. Caution: Reading and praying over these lists may disturb your sleep. FALSE DANGERS: I believe this list to be constructs of our own making. Even so, they can control us. I am tempted to expand on the items of either of these lists, but Abberton has already done that, and I encourage you to consider reading this book, if you dare. Scriptures normally associated with worship discussions are applicable to these lists. Prayerful contemplation over these lists holds potential to convict and reveal much about our churches’ worship, as well as our own. As minister-musicians I often write or speak to the minister in you. I recognize the priority that ministry takes in the minister-musician balance of work and being. For most of us our strong sense of calling is to ministry. We sense that God has called us to pastor and guide fellow musicians, to utilize our art to minister to the lives of people and provide a means of praise for the church. Our commission is to spread the Gospel through song – played and sung. Today I want to speak to the musician in you. The musician side of us is never in a vacuum. We function as musician within our role as called minister. Nevertheless, it is crucial that we not ignore the artistic side that hones our craft and sensitizes our spirit. How on earth will we ever direct those who fill our choir lofts, orchestra pits, or man the microphones in our praise bands with any sense of confidence if we do not spend time nurturing our own musicianship? I don’t know where this happens for you; whether listening to recorded music (best done with earphones in a secluded place for me – southern rock must be loud to be appreciated), or splurging for a professional symphony concert (the Nashville Symphony is outstanding), attending a local high school or college program (there is something uniquely authentic about young voices or instruments striving for musical expression together), or sneaking in to an acoustic songwriter session somewhere. I do know, however, that such exposure and fostering of our own musicianship most likely happens on purpose. For all of us becoming better musicians most likely includes time in a practice room. That room may be a secluded space in the church education building, or hidden away in our office with the door shut, conducting in the mirror. It may be at home after kids are gone to school where we can sing or play to our heart’s content. We need to listen to music. We need to practice making music. We need to rehearse leading music. We need to be in touch with a sense of its power, its ability to speak, form, and convey. Music is the most oft-referenced art form in the Bible. No wonder this is so, since music has great power over the human spirit. Like the church father, Augustine, I am deeply touched by music’s way of speaking. Sometimes when my spirits are low I am revived by a joyful song. At other times when my spirits are low I find a strange solace in a song of lament or strangely beautiful song of sorrow that somehow helps touch the chord of unsettledness or pain. Sometimes when my spirits are jubilant I find rich celebration available in music that helps me express something of my joy. At other times when I am cheerful I find music that may be measured, though bright, capable of helping my glee to be strengthened into a purposeful praise through a kind of disciplined release of delight. From time to time I am convicted that I need to listen to music more. I need to foster that sensibility in me that responds to music’s own way of conveying humanity, not to mention truth and message. I am quite an eclectic music listener. I developed the wide interest over different exposures through the years. I now try to be eclectic on purpose. Many people assume that I listen to music all the time when traveling in the car, which most of you know is much of my time (40,000 plus miles a year). The truth is, however, that it is fairly seldom that I listen to music in the car while driving. The road noise covers up so much of the good stuff. I am the guy who likes to hear the fret squeak of a guitar concerto, or the click of keypads made by the clarinetist in a soft adagio passage of a symphony. I try my best to hear the footpedal change in Clapton’s music when he changes effects boxes. I like to sense the trombone slide in an old Chicago tune. Saying that may make me sound like an audiofile, but that’s really not the case. For one thing, I can’t afford to be, and for another thing, what I am drawn to is the passion in the music-making that eminates from the musician, as well as the slightest nuance of the music itself. As a musician I like to identify with the music making. I sorta want to be “in the music,” you might say. This is one of the reasons choral music gives such rich blessing. It is one thing to express music as a soloist, whether over a microphone, or by filling the lungs and controlling release through the vocal chords, forte or pianissimo. It is something very different to sing in ensemble blending with those around you, finding that sweet spot within the ensemble where we can know our own chords are vibrating, but sensing their tone within the beauty of a well-balanced three or four part chord, whether dissonant or consonant. The same is true, sometimes more so, when singing perfect unison where many voices become one. This past weekend nurtured my “inner musician.” Saturday I attended the all-state chorus presentations. Great inspiration to observe hundreds of high school students singing Victoria, Tallis, Mozart, folktunes, and 100 young men under the direction of outstanding composer, Z. Randall Stroope. Powerful reminder that teens grow in music-making. I attended First Baptist Nashville Sunday to hear King’s Brass, Dr. Al Travis, and the choir, and the punctuation of Dr. Terry York’s message on Psalm 150 that resonated with the musician in me that longs to praise my Lord with a loud “Hallelujah!” Sunday evening’s concert of the Tennessee Ladies Chorus was a joy-filled opportunity to direct the music-making of this very special group of ladies. By the time of the first notes of Vicki Wright’s organ prelude I was ready to burst. These 75 women filled the air with music that declared the presence of the Lord, gave Him rich praise, offered hope for those who trust in Christ and declared their faith to Bow their knee in all circumstances of life. 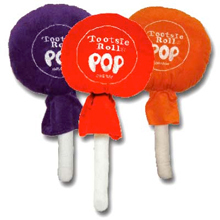 I heard a preacher on the radio the other day who used a tootsie roll pop to illustrate sitting through a worship service to find Jesus. I have heard numerous preachers say that even good illustrations break down at some point, but this thing started out badly in my estimation and went downhill from there. I kept thinking, “Did this brother not consider the flippant nature of stepping down this path of drawing parallels between an experience with the Savior of the world, Creator of the universe, the Giver of life itself, and a two-cent piece of child’s candy? I hope you will understand my sentiment when I say that it was actually painful to listen to this attempt at connecting with an audience. To his credit, the speaker tried to clarify that he was not saying Jesus was like candy. Some of his lengthy pauses indicated to me that he might have had second thoughts even as he tried to explain the metaphor to the listeners. To avoid becoming cynical over the whole thing I eventually changed the channel. Have you ever found yourself trying to express something that you feel deeply or believe firmly, only to discover that words have a hard time measuring up? I mean, how do you articulate just how much you love God? Can you really put it in words? In bearing a witness to someone, how do you explain your faith in Christ? What makes it even more difficult is that while struggling to find an adequate word to express a conviction, you may begin to feel like you are sending a wrong message implying that you cannot think of any words at all to convey that conviction. When it comes to words for worship it is not always simple to find verbiage that appropriately expresses what is in our hearts, much less what would be appropriate to represent the respect, praise, and glory due Him to reflect something of Who He is. You may think this lack of verbiage is a bad thing, but I want to invite your consideration of its value. Being at a loss for words causes me to take pause. When writing I often get stuck, and have to just get up and leave the computer for awhile – returning later to see that the cursor is still blinking in the spot where I was stuck. Sometimes the very fact that I lack words that seem adequate to express worship for God reminds me that He truly is “Holy Other – wholly other.” Our inability to describe our faith, much less describe Him adequately, can point us to the sense of mystery that surrounds Him. And yet…Sunday’s comin.’ Sermons must be preached. Songs must be sung. While hopefully they are not coming to take a lick on a toosie pop, people will be at church on Sunday and you have to select music to sing; words to place on the lips of the people. Those words are to serve the purpose of worship; to express something of who God is; what He has done, and how He can change lives. If we will let it, that sense of the inadequacy of words can push us to find the best words. If a metaphor feels inadequate to express attributes of God, it probably needs to be sidelined. I may have to dig a little deeper to find something. When a song lyric seems to come short in expressing praise appropriate to the worship, there may be a better one to be found. I firmly believe that for the worship planner, the digging and the finding become worship. As always, our first place to look for right words is the Word itself, the Holy Bible. Whatever I choose for worship must lineup to the teaching of scripture. Most musicians are familiar with the anonymous quotation, “for heights and depths no words can reach, music is the soul’s own speech.” We like that phrase because it helps validate our art. The same musicians would have to be honest to say, however, that we can be just as lost for a musical phrase to express our heart in worship as we would be for words to convey it. In evaluating music for worship expression we are left, perhaps, to our own sensibilities about what is “good” and appropriate to the context in which we serve. There is not room for that discussion here, but suffice it to say, it can be a very good thing to take pause when selecting music for worship to ask similar questions as with the words for worship,” Is this an appropriate expression?” Do I need to keep digging to find a more fitting song? Worship planners and leaders, take heart. Your sense of inadequacy can remind you of His sufficiency! Two song texts from two hymnals compiled by Baptists come to mind. One is from the new Baptist Hymnal – Lifeway, and the other is from the Celebrating Grace hymnal. The wonders of God to whom we belong! Easter Sunday is over – Now What? Sunday was Resurrection Day – Easter Sunday! Full church houses, busy restaurants, family gatherings, bright new clothes, and lots of picture-taking. The weather in Tennessee was picture perfect. At the Clark house in Franklin we had all of our “kids” and their kids together spending the day going to church, eating, laughing, and sitting on the back porch watching the little ones play in the yard. It was a memorable day of worship, family, love, and remembrance. Norman Rockwell would have plenty to draw if he would have spent the day with us. It was also a day of marveling anew at the hope that transforms lives and can change the world! I do hope you had a glorious Easter Sunday as well. Easter 2010 is history. So….now what? Did you know that many Christian churches throughout the world celebrate Easter over seven Sundays, rather than just one? 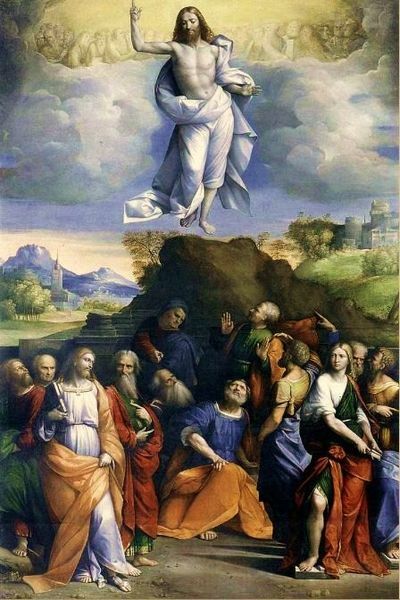 The Season of Easter includes recognition of the Day of Ascension when Christ was taken up to be with the Father, which has much to do with His Lordship, His dominion and trajectory to the future Return of our Lord! Though some of the same “mainline” churches who observe a liturgical calendar become perfunctory about these celebrations, there is something full of potential if we continue to move toward the coming Pentecost Sunday, a day that is, sadly, ignored by many if not most evangelical churches. I realize that I am “preaching to the choir” (literally as well as figuratively) because even though many pastoral musicians would pay more attention to the Christian calendar given the opportunity, most all of us are also submissive to senior pastoral leadership and/or to other church leaders who may not choose to observe those days. Those of you who at least take note, as worship leaders (or even as personal worshipers), of a Christian calendar, know what it is like to be somewhat conflicted when Pentecost Sunday falls on Mother’s Day, which happens often, or Graduation Sunday (Senior Recognition Day), which will be the case for most of us this year as Pentecost Sunday is May 23. God forbid, I am not calling for a moratorium on Mother’s Day or graduation Sunday. I like my job, and want you to keep yours as well! Let’s be clear on that. I do observe, however, a serious lack of comprehension by church members concerning the significance of these Christ events by comparison to Christmas and Easter, and wonder if a primary reason is that we simply do not call the events and their significance to their attention. I am convicted deeply that the entire Christian Gospel should be central to our worldview, and must be taught and celebrated repeatedly in our worship to be certain Christians’ lives are actually affected by their understanding of Who Christ is, what He has done, and what He is doing, and what He will do. We could all give regrettable testimony to living that takes place by brothers and sisters all around us that does not indicate an understanding of the Lordship of Christ, the absolute need of humanity for His salvation, and/or the certainty of His impending return. Were the true views of our own church members different than this would we really have problems such as “inactive members?” I cannot help but believe that poor attendance patterns stem from weak belief. Perhaps we have “majored on minors” over the years. Rather than holding a high standard for our members to pick up their cross, I fear we have too often offered “easy worship,” “simple service” and “have-it-your-way” faith. Rather than trusting in Holy Spirit power to convict, change, and speak through the simplicity of the Gospel truth, I am afraid we have too often sought to orchestrate dramatic crescendos of emotional exploitation as if getting them down the aisle can ever masquerade for genuine life transformation. So, what can you do? Many of you are having special Spring music presentations between now and the end of the school year. As you are working on the final rehearsals and preparations for those events, how about looking closely to see ways the message of Christ events can be included through spoken or sung word, calling attention to their significance. If you are doing a Pentecost music presentation, or an Ascension music message, please let me know and I’ll broadcast such to others! A great thing about the Gospel message of Christ events is that they always fit! If you are having a Spring “evening of praise,” or similar celebration, ask the congregation to pray before the music begins, that the Lord would fall upon hearts among you, even as He did on that Sunday when the Holy Spirit fell upon the believers on that 50th day after Easter, ten days after Jesus’ ascension to the right hand of the Father. Upper Room. If you recognize seniors on May 23, why not include a recognition that this day was a day of new beginning in the life of the Church as well when the Holy Spirit came down. Perhaps a guided prayer for renewal would be appropriate. Christ’s resurrection is the power of the Gospel! So is His ascension to the right hand of the Father, the coming of the Holy Spirit, who lives in me and in you and is the powersource for every gathering of the church in every location for all time. Music Leaders, as a bearer of the good news, proclaim the whole Gospel, and let us look to the day when our Lord shall return! Even so, Lord, quickly come!